There’s no argument, the digital marketing revolution has arrived and is moving ahead quickly. With new technologies developing every next day, and digital advertising techniques changing in real time, it’s no longer enough to just go with the pace. Staying ahead of the loop means having a keen & acute idea of what technologies are coming next and then taking making the necessary changes to your business to ensure that it gets where it needs to be. 2018 has been a year of developing and building up on 2017’s social trends. Up till now, we’ve seen a continued growth in augmented reality, video content, marketing tools etc. But now that 2018 is two-thirds of the way over, you may find yourself wondering: “what does 2019 have for us?”. Probably we have a few predictions for the upcoming year. Let us give you a look at how the ever-changing marketing landscape may look in couple of months. Remember the madness for ‘Pokémon Go’ a few years ago? People of every age walked out and slammed into one another on the street as they highly engaged themselves in this new and exciting reality. There’s always a great opportunity for brands to use these technologies to enhance the customer experience. Many have already entered broken ground on virtual & augmented reality and are successfully implementing it. 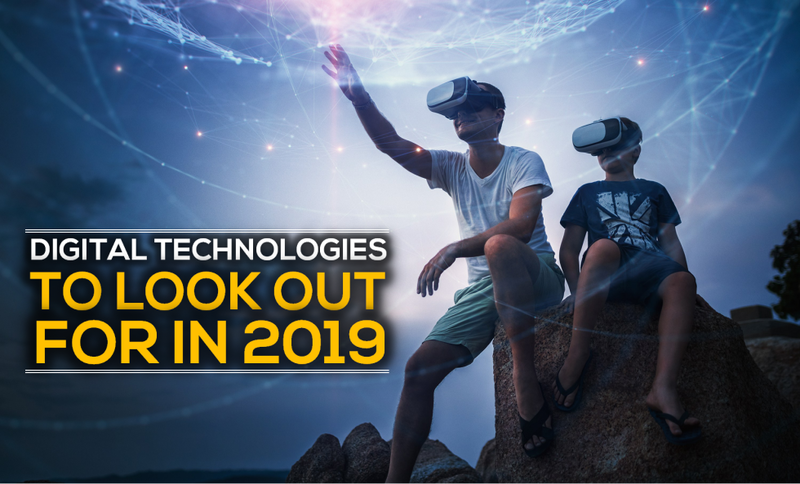 In 2019, we’ll likely see more brands taking bold steps to revisit VR and AR in ways that add value to consumer experiences. It is estimated that by 2020, half of all search inquiries will be voice-based?. 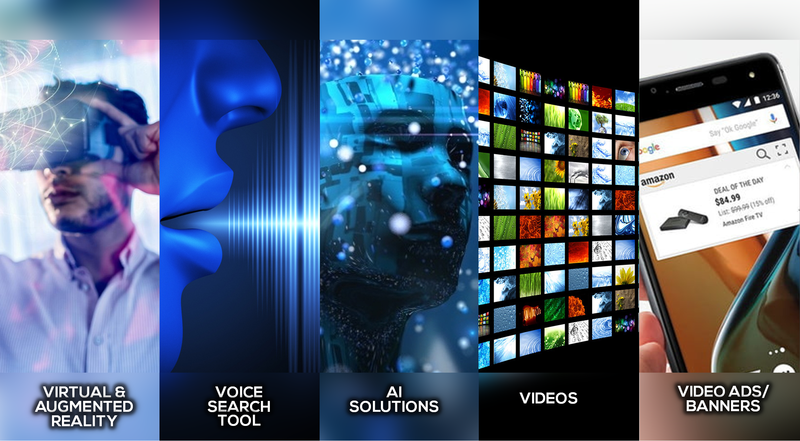 Voice recognition technology is expected to become bigger and better, and users are welcoming the convenience of intelligent voice search with open arms. Smart speakers like Amazon Alexa, Google Home, and Apple Home Pod have made waves in the customer technology market over the past couple of years. For now, the majority of voice search usage is based on convenience, probably while driving. But as the word accuracy rates will gradually improve over the coming years consumers will soon become more habitual to having their needs met. Brands competing on yet another standard with this technology will surely pull a lot of engagement. These are seen everywhere?, from small businesses to large enterprises. From chatbots to robotic process automation, the value of improved efficiency, developed productivity and higher customer satisfaction is becoming clear. In 2019, AI-powered technologies will take customer-centric marketing to a whole new level. Smart AI-powered applications will help in reaching targeted audiences with precision, increased efficiency and will pave the way for extraordinary customer experiences. As this develops further, AI devices will likely become more “normal” in the eyes of consumers. Precisely, we will see them become more widespread and user friendly. Videos are eating the web?! That makes sense because the average attention span is short and so most people would rather watch a video than read a print. Realising this, brands are enthusiastically publishing video from their live events. In the coming years, live video feeds will continue to explode. Interactive and imaginative videos used for user engagement will quickly outdo moving pictures. Consumers become bored quickly?, therefore brands that use video to engage and excite users will grab success easily. The traditionally printed banners/ads are barely seen and video banners/ads are on the rise. Brands will surely consider adding video ads in their 2019 marketing strategy, as we know content with images is more likely remembered that just text. Creating product videos, or partnering with an influencer for its endorsement will lead to more brand recognition. The future of experiential marketing is bright. As businesses become more familiar with technologies, they will deliver more sophisticated, and more personalized experiences. At Shobiz, we have our own group of chiefs who are well versed with all the latest tech trends. So whatever your requirement is, Augmented Reality, Multi-Touch surfaces, Gesture Control, Face Recognition, Artificial Intelligence etc. we have onboard all the latest advance solutions that aid in enhancing the campaign’s idea & putting forth a stellar event.